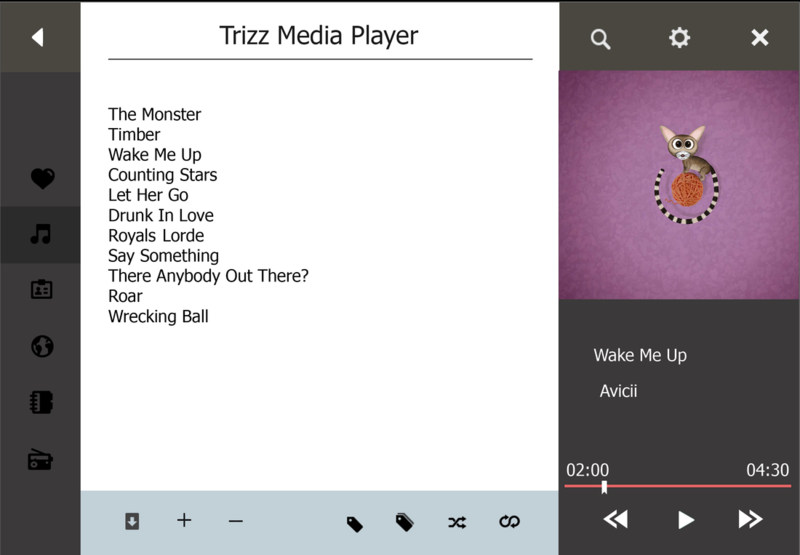 The new Trizz Media Player is here. All new Features which is even more faster. Cool Design with skin support. Library Search, Filter, Playlist support, Online search and more features come in handy. I am looking for more ideas and I will welcome improvements to the design or feature ideas if they are nice. So if anyone is interested in this project then please suggest more ideas and help make this program the best to use.